Try these links and exciting tales! 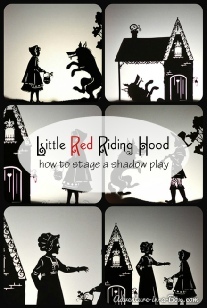 Click on the photo below to learn more about creating your own shadow puppet play. There is a story of an old farmer who had worked his crops for many years. One day his horse ran away. Upon hearing the news, his neighbors came to visit. A story about doing one’s part. One day an elephant saw a hummingbird lying flat on its back on the ground. The bird’s tiny feet were raised up into the air. “What on earth are you doing, Hummingbird?” asked the elephant. A farmer once lost his axe. He felt certain that his neighbor had stolen the axe. He watched that neighbor with suspicion. He noticed that the neighbor’s son seemed as shifty as his father. That boy looked just like a thief. The farmer knew he could not trust either of them. One day when he visited a distant field where he sometimes worked, the farmer discovered his axe. He had left it behind the last time he worked the field. When the farmer returned home he noticed his neighbor’s son at play. The boy looked absolutely normal now. There seemed nothing shifty or suspicious about him at all.